MAKATI, Philippines - John de Lara Spainhour, a 26 year-old former United States Marine born in South Carolina, was chosen as the new Mister World Philippines 2014 during an event held at the Glorietta Mall in Makati on May 29. He will represent Philippines in Mister World 2014 in Torbay, England on June 15. 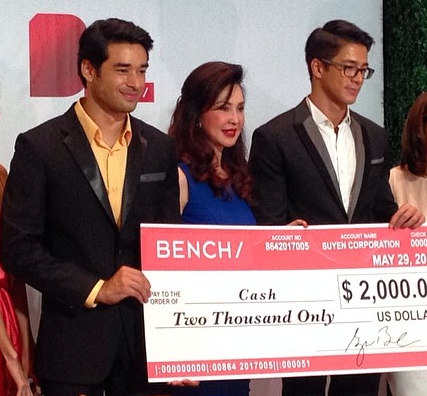 At the same event, Sam Ajdani was chosen as Mister World Philippines 2015.